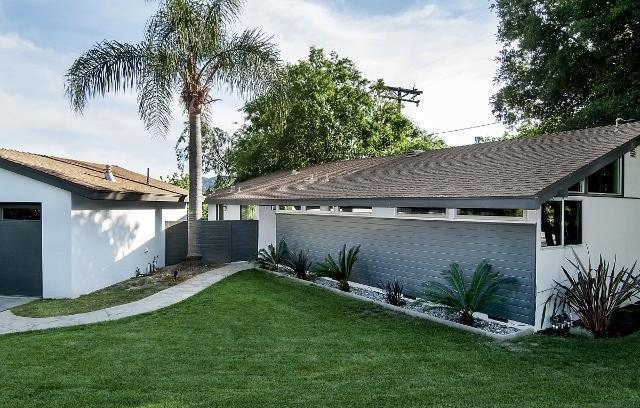 Mid-Century Modern gem in highly prized school district. 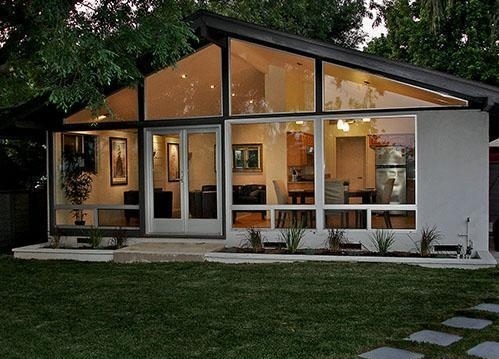 Reflecting the best attributes of Mid Century architecture this beautiful home is perfectly nestled in the landscape to maximize natural light. With high vaulted ceilings and an open floor plan this 4 bedroom, 2 bath home makes the most efficient use of it's space. The master bedroom boasts custom maple built-ins to provide excellent storage while preserving the open, modern lines. The impressive living room features maple floors and an entire wall of glass opening onto a lovely backyard and deck providing the perfect balance of both privacy and transparency to the outside world. Your morning cup of coffee will never be the same! The home boasts beautiful mountain and valley views siting on a 7100 sq ft corner lot of a cul-de-sac. The garage is double and detached.